Have you ever watered a plant when it is extremely dry? The water just runs out the bottom of the pot. Drinking water all the time is much the same – we just keep on peeing and drinking. A little natural salt and water slows this process down and allows all the goodness of the water to absorbed and used. 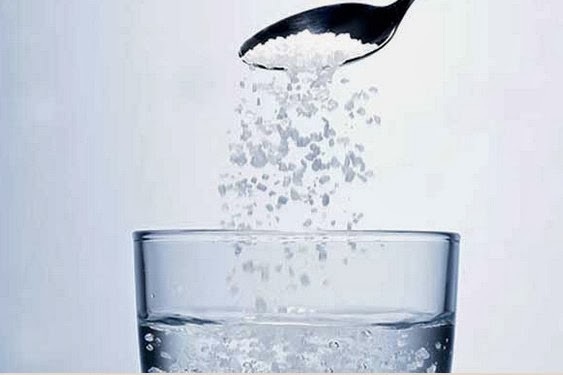 Digestion: Salt water begins to activate salivary glands in the mouth, releasing amylase. This initial step in the digestive process is highly important. In the stomach, natural salt stimulates hydrochloric acid and a protein-digesting enzyme, both which help to break down food. It also stimulates secretions in the intestinal tract and liver that help with digestion. Regular consumption of Sole can help with regularity and increase nutrient absorption, as well. Sleep: The trace minerals in unrefined salt calm the nervous system. Salt is known to reduce cortisol and adrenaline, two dangerous stress hormones. This can promote a better night’s sleep. Detoxification: Because of the rich minerals in Sole, it helps the body in its natural detoxification process. Sole is also naturally antibacterial and can therefore help rid the body of dangerous bacteria. Bone Health: A popular theory regarding osteoporosis and other bone disorders is that the body uses calcium and other minerals from the bones in order to survive and neutralize acidity in the blood. Because Sole is full of naturally healthy minerals and has an alkalinizing effect, it is thought to help improve bone health.